Roland Holmes Tibon, 33, of Rogers, Arkansas, died Wednesday, August 15, 2018 in Bentonville, Arkansas. He was born May 7, 1985 in Majuro, Marshall Islands to Homles Isao Tibon and Tellina Lewis Tibon. He was a 2004 graduate of Rogers High School and a valued member of the Rogers Mounties football team, winning "The Fighting Heart” award. A true athlete, he was also a cage fighter in the Mixed Martial Arts. He was known as “Da Truth” because he brought “truth” to the cage. As strong as an athlete as he was, he was also a gentle spirit with a big heart for others. 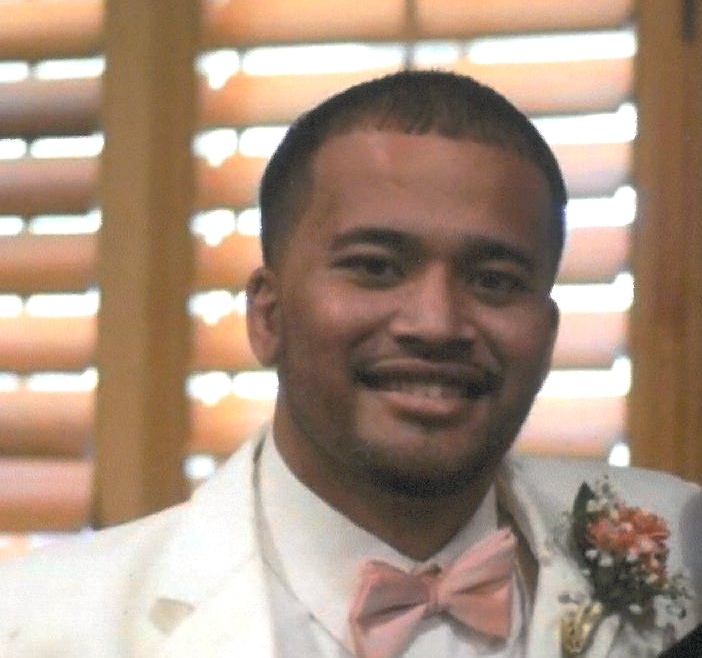 Roland was passionate about assisting the Marshallese community and worked in the Rogers School District as an interpreter for Marshallese children and their families. He worked with War Eagle Camp to recruit Marshallese children and loved serving in the early childhood ministry for Mosaic at Fellowship Bible Church. Roland was a supportive husband and a loving and caring father that led his family faithfully to the Lord. He was an active member of Mosaic at Fellowship Bible Church. He was a faithful follower of Jesus Christ, always trusting and never wavered throughout his courageous win against Leukemia. Survivors include his wife, Lilibeth Garcia Tibon and daughter, Mia Faith Tibon, both of the home; his parents, Homles and Tellina Tibon of Siloam Springs, AR; brothers, Raynard Tibon (Mona) of Springdale, Casner Tibon (Shelley) of Republic, MO, Leonard Tibon, (Jasmine) of Kansas City, MO; sisters, Rosie Tibon (Phillip) of Siloam Springs, Jojalena Tibon of Siloam Springs; his father and mother-in-law, Agustin and Ramona Garcia of Rogers and many dear relatives and friends whose lives will be forever changed because the Lord put him in their path. Visitation will be from 6:00pm until 8:00pm, Monday, August 20th at Fellowship Bible Church in the BiLD Training Center. Funeral Service will be at 10:30am, Tuesday, Aug. 21, 2018 at Fellowship Bible Church in Rogers in the BiLD Training Center. In lieu of flowers, donations may be made to www.gofundme.com/helping-the-tibon-family .